"Science is rooted in conversations," wrote Werner Heisenberg, one of the twentieth century’s great physicists. In Quantum Dialogue, Mara Beller shows that science is rooted not just in conversation but in disagreement, doubt, and uncertainty. She argues that it is precisely this culture of dialogue and controversy within the scientific community that fuels creativity. Beller draws her argument from her radical new reading of the history of the quantum revolution, especially the development of the Copenhagen interpretation. One of several competing approaches, this version succeeded largely due to the rhetorical skills of Niels Bohr and his colleagues. Using extensive archival research, Beller shows how Bohr and others marketed their views, misrepresenting and dismissing their opponents as "unreasonable" and championing their own not always coherent or well-supported position as "inevitable." 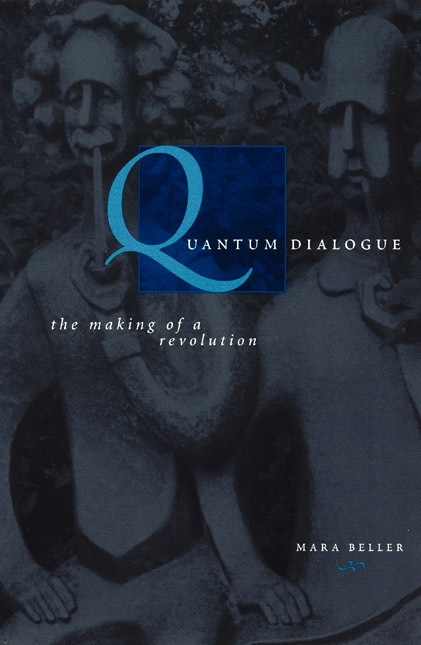 Quantum Dialogue, winner of the 1999 Morris D. Forkosch Prize of the Journal of the History of Ideas, will fascinate everyone interested in how stories of "scientific revolutions" are constructed and "scientific consensus" achieved. Born’s Probabilistic Interpretation: A Case Study of "Concepts in Flux"
Heisenberg’s "Closed Theories" and Kuhnian "Paradigms"
Where Did Kuhnian Incommensurability Come From?